UP IN VAPOR! 300ML CBD ELIQUID GIVEAWAY! If you like the Cannabis taste, this giveaway is for you! GOOD LUCK VAPER FRIENDS! The winner of the lottery #492 for UP IN VAPOR! 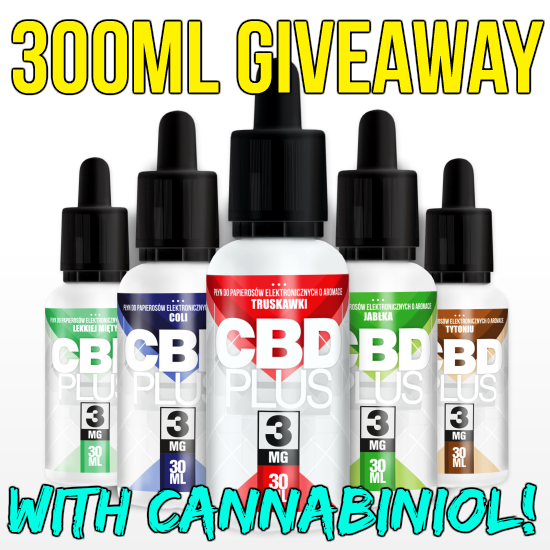 300ML CBD ELIQUID GIVEAWAY! was Rory Klements from Brussels, Belgium on Jan 20, 2017. The winner gets to pick and choose 10 bottles of Cannabis flavored eliquids! Please click here to see all CBD liquids we have on offer. Please click here to see all our CBD liquids.